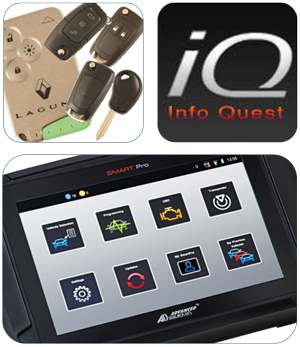 Key & remote programming on modern vehicles can be a complicated procedure and requires both knowledge of keys and vehicle diagnostics. However, there are huge rewards available by offering this specialist service. The Smart Pro users training course offers new and existing customers an ideal grounding in key and remote programming. In addition to understanding the equipment, the course includes details on immobilisers, pincode reading and tips and hints on vehicle specific requirements. The training has a mixture of theory and practical with the opportunity to program a range of vehicles throughout the day. Whilst at Hickleys you will get the chance to meet the technical support team that will assist you in all technical aspects on an ongoing basis. The course is designed for beginners that have recently purchased a Smart Pro or have one within the business. The candidate will leave with the ability and confidence to program keys and remotes on a wide range of vehicles.